Mr. Clifton De Coteau was elected to the House of Representatives as the Member for Moruga/Tableland on Monday May 24, 2010, following General Elections for the 10th Republican Parliament. Mr. De Coteau attended secondary school at St. Stephen’s College in Princes Town and continued to Mausica Teachers’ Training College, following which he rejoined his alma mater on the teaching staff. As a teacher, he held the positions of Games Master and Folk Choir Master. He attended the University of the West Indies and graduated with a Bachelor of Arts in History and Economics. He returned to St. Stephen’s College as a Teacher II. Mr. De Coteau then went on to serve at Barrackpore Senior Comprehensive School as Dean of Discipline, Senior Teacher, and Games Master. He ascended the promotional ladder and attained the position of Vice-Principal of Princes Town Senior Comprehensive School and then the position of Principal at his Alma Mater, St. Stephen’s College, the first past student to be so appointed. The years which followed saw Mr. De Coteau as School Supervisor at the Head Office of the Ministry of Education, School Supervisor III in charge of South Eastern District, and School Supervisor III in charge of Port of Spain and Environs Education District. 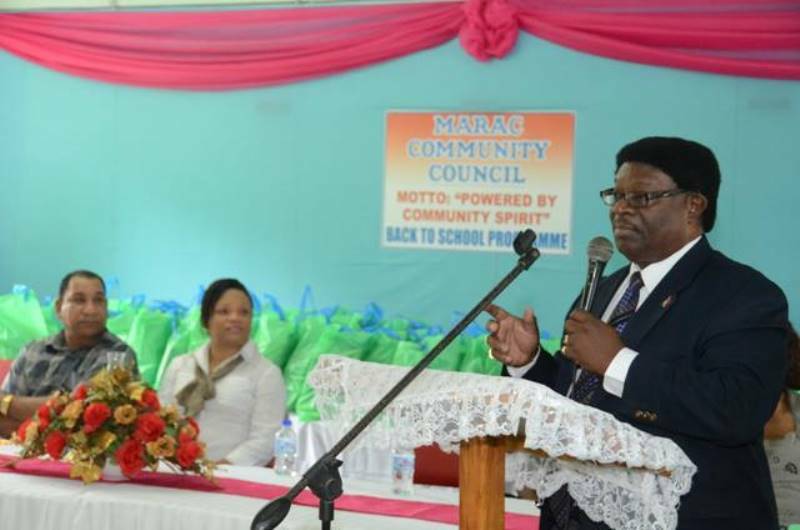 In 1997, Mr. De Coteau, in addition to his supervisory duties, served as Area Superintendent for Continuation Classes with the Ministry of Education for Moruga Secondary, Princes Town West Secondary and Rio Claro West Secondary. Mr. De Coteau joined the political arena in 2003 and served as the Local Government Representative for the Electoral District of Inverness/Princes Town until 2010. Mr. De Coteau has served his community of Princes Town and environs as chairman of various committees for development, cultural interests, national celebrations, and activities such as: Carnival, Emancipation Day, Independence Day, Christmas and Easter, Indian Arrival Day, Boxing Tournaments, Best Village presentations, Lion Clubs, the National Kick Boxing Council of Trinidad and Tobago, and the Scout Association. He was a sportsman and athlete, participating in marathons, track and field, boxing, kickboxing and wrestling. He is a professional photographer.